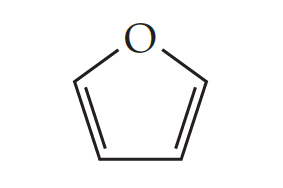 Solution: The molecule shown below is called furan. It is represented in typical shorthand way for organic molecules, with hydrogen atoms not shown. How many valence electrons are there in the molecule? How many valence electrons are there in the molecule?